My name is Hayley, and I am a full blown designer handbag addict. 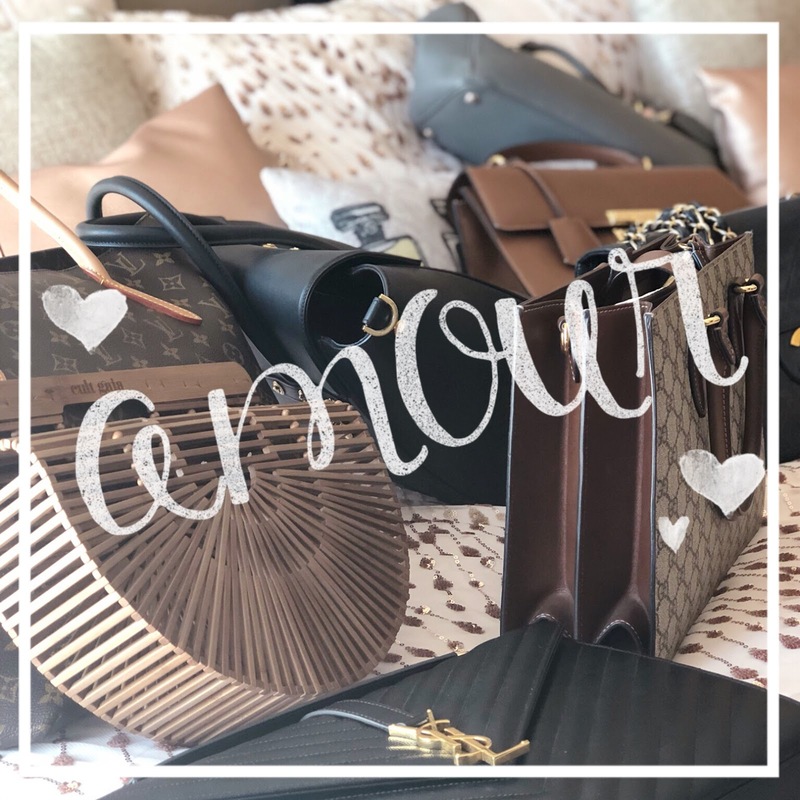 This post is very personal to me, and I am delighted to show off my designer handbag collection, which may I add are never going anywhere, these babies are with me for life! HANDBAGS SPEAK LOUDER THAN WORDS! Everybody that knows me knows that I’m obsessed with handbags and in the last three years, I had the real means to fund this habit. I still only buy bags to add to my capsule collection that I truly love and will continue use. My style is pretty classic with an edgy or vintage twist, and I gravitate toward timeless pieces that complement my outfits and lifestyle. I tend to lean more toward the more significant structured, masculine bags with a little femininity. Bags are my treasures, and nothing sends my pulse racing like a new gem to add to my forever collection. I'll be doing a review of each bag separately with the info and backstory to each bag and so without further ado, welcome to an overview of my collection. As you can see, I gravitate to the classic colours in a very structured style, I am really looking to add some neutral & blush pink bags to my collection. I will be doing separate posts of each bag with a review and the backstory of how and why these are in my collection. In the meantime, if you do have any questions, please let me know. Let me know your thought on my collection and what's your favourites?